There are a lot of people out there who want to consume cannabis, but who do not want to smoke it. For some, this seems like the only option available. It is not until you do more research into it and look to suppliers like Pacific West Bud that you realize that there are a lot more options out there for you. Today we are going to look at the many benefits of cannabis tinctures. 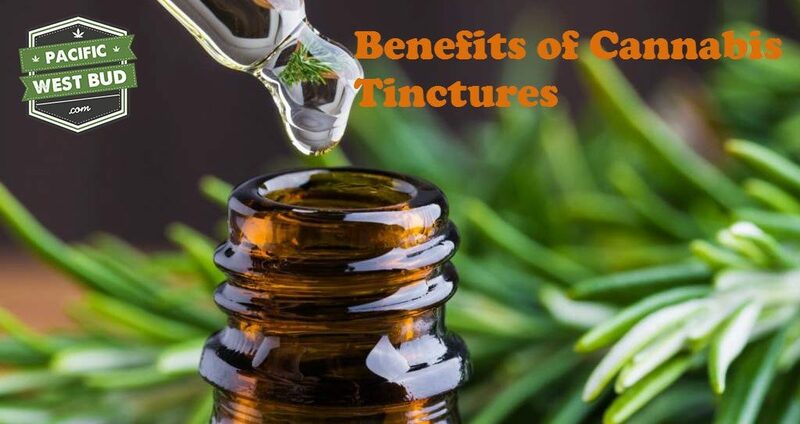 If you have not heard of them already, before we discuss the benefits of cannabis tinctures, we are going to take a look at what a cannabis tincture is. In short, it is an alcohol extraction of the cannabis plant. It generally consists of the whole plant being extracted so elements of all of the good chemicals are involved. Cannabis tinctures are stored in little glass bottles, usually with a dropper on the lid. A cannabis tincture is ingested orally, but only using a small amount. It is usually advised that the person taking it places just a couple of drops under their tongue and lets the product get to work. We alluded to this briefly already, but one of the main benefits of cannabis tinctures that people cite is the fact that they donâ€™t have to smoke it. Many people are concerned about smoking anything at all, and they donâ€™t want to have the odor of marijuana clinging to them. Cannabis tinctures allows all of the benefits that you can get from cannabis, such as physical and mental health improvements, pain relief, and relaxation, without the smoke. Another of the benefits of cannabis tinctures is the fact that they are very fast acting. When you place a drop under the tongue, it absorbs very quickly. The rate of absorption is pretty much as quick as smoking. This makes it excellent for those who need the effects fast, such as those who are in pain and using it for pain relief. The last benefit of cannabis tinctures that we will look at today is the fact that it is easily available. At Pacific West Bud, you can order some of our excellent cannabis tinctures online and have them delivered to your door in a matter of days. Getting the benefits of cannabis without the smoke really couldnâ€™t be easier.